From delicious recipes to wine guides, here’s a list of the most mouth-watering reads. If you’re a gastro-bibliophile like me, check out this list of books that not only make for fine reading, but will give you an opportunity to broaden your love of food and drinks. While some revolve entirely around life in the kitchen, others have interesting food and cocktail recipes, tips on pairing wine and food, and a guide on setting up a home bar. Jackson Pollock needs no introduction! His world famous drip paintings shaped the abstract expressionist movement in America. However, what is lesser known about this legend is that he was an active gardener and baker.Dinner With Jackson Pollock: Recipes, Art & Nature is the work of Robyn Lea, an Australian photographer based in New York who first visited Springs on Long Island, the hamlet in East Hampton where Pollock lived with wife and fellow artist, Lee Krasner. From starters and entrees to side dishes and desserts, this book features more than fifty recipes collected from handwritten pages scribbled by Jackson, Lee and his mother Stella. 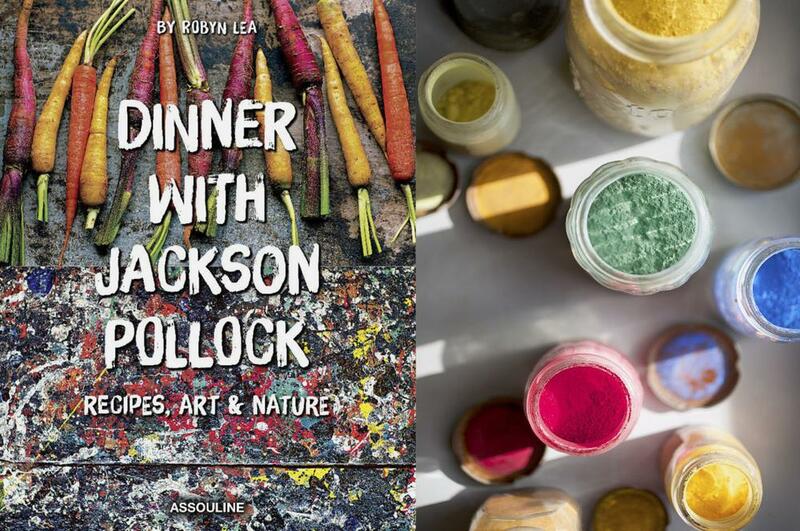 What’s most striking are the beautiful pictures of the recipes, the home of Pollock and Krasner, and delightful anecdotes from Jackson and Lee’s family and local friends. His Apple Pie and Brussels Sprouts and Dandelion Juice recipes are widely popular. Authored by former music industry artists and repertoire (A&R) men, Joel Harrison and Neil Ridley, Distilled is a fantastic book that explores and explains the best spirits the world has to offer – from gin to mezcal, whiskey to shochu, cognac to cocktail bitters and more. The book features descriptions of the spirits, their histories, ingredients, facts about its production and has plenty of tips on how to enjoy the drink right from appreciating the aroma to taking that first sip. Along with these, there are interesting interviews with mavericks of the spirits world. But the best part of Distilled is the innovative cocktail recipe collection – which sounds oh-so-tempting and looks pretty easy to make. 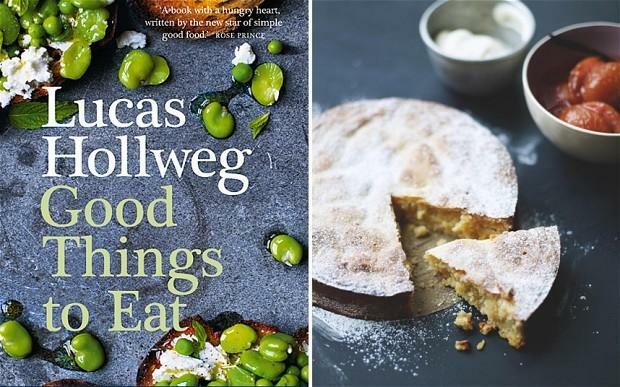 Good Things To Eat by Lukas Hollweg is all about great food that focusses on the ever-popular ingredients and recipes that home cooks look up to all the time. Lucas has featured over 320 mouth-watering recipes that are inspiring, delicious and involves simple cooking techniques. He has also shared personal experiences and the inspirations he has gotten from various people. Some of the highly popular recipes in here include Bowl of Roast Quails with Spiced Yoghurt, Autumn Mess with Blackberries, Pot-Roast Chicken and Chicory, Beef Stew with Cinnamon and Prunes, and Raspberry and Mint Sorbet. We are hurrying home to try out some of these! Lettie Teague’s Wine In Words is both amusing and informative, covering topics from “Bottle Braggarts” to New Zealand’s contribution to wine culture. The book features brief essays on world-class wines, varietals and regions, tips about buying the right wine, ageing and storage, and useful explanations about tasting notes. What makes the book an engaging read are the author’s personal experiences. For instance, she recounts the tale of a misguided sommelier who when confronted with a customer request for the sold out Gewürztraminer, offered a similar wine. The replacement was an ill-advised Sauvignon Blanc. The grapes bear no similarity to each other except that they are both aromatic. 100 Days, 100 cities, 25 states. 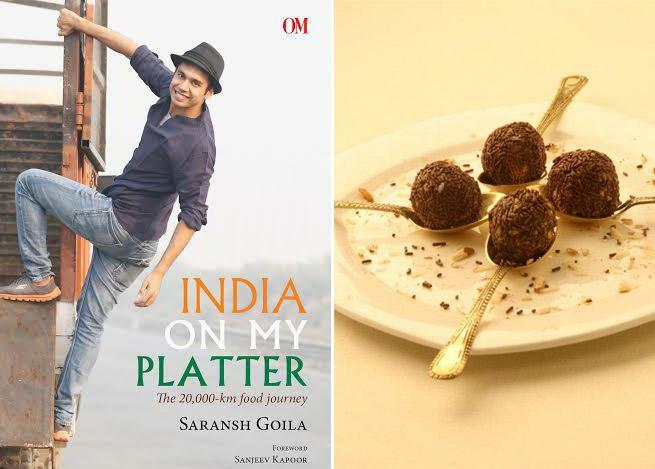 Celebrity chef Saransh Goila fondly known asSadak Chef takes you on a culinary journey across 20,000 kms through rural India with his recently launched book. From a roadside truck stop to India’s biggest omelettes centre, to a kitchen in Kullu – you name it, it’s in there. The book is a combination of travel stories, recipes, food tales, snapshots of villages and villagers, and Chef Saransh’s take on different foods and cuisines. Out of all the recipes, his most loved dishes include Badam Ki Jaali, a Hyderabadi sweet dish, in which the design of the almond paste dough resembles the carved stone windows of the Nizam’s old palaces; Fish Outenga, a river fish preparation cooked with a vegetable particular to Assam, called outenga or elephant apple, and Sunga Kukura – a chicken delicacy of Assam, cooked in a bamboo hollow. The queen of Italian cuisine, Ritu Dalmia introduces over 80 different recipes for the vegetarian Indian in Diva Green. The book reflects Dalmia’s reputation as a global chef. From suggesting the best way of storing mushrooms to the easiest method of sweating out eggplants and tips for making stocks, dips and sauces – this book is an informative read. Vegetables such as potato, pumpkin, eggplant, tomato, carrot, beetroot and mushroom have distinct sections dedicated to them, while fruits, dairy and greens appear in an assorted mix. Recipes include Aloo and Baingan in Bengali style, Beetroot and Pearl Barley Risotto, Burmese Tomato Salad, Chilled Eggplant Gazpacho and Spaghetti with Strawberries.